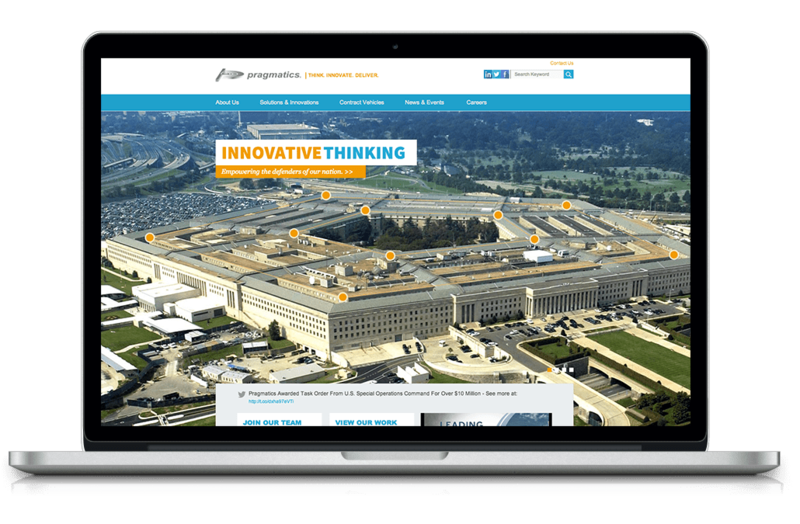 Pragmatics leverages digital branding, responsive website design, content marketing and strategic messaging to build a robust B2G brand designed to connect with discerning leaders in federal civilian and defense agencies. Pragmatics, Inc., a leading mid-market IT solutions provider, applies innovative thinking to design and deliver quality-assured solutions that generate measurable business outcomes for critical missions of national importance. Over the past three decades, Pragmatics has built a legacy of excellence serving clients in both federal civilian, and defense organizations. Pragmatic’s innovative approach to agile development continues to set the company apart as a trusted provider of high quality, highly reliable technology solutions. As Pragmatics experienced considerable growth and new contract wins, leadership realized that the company’s digital brand did not accurately represent its advanced technical prowess and position as an industry leader. 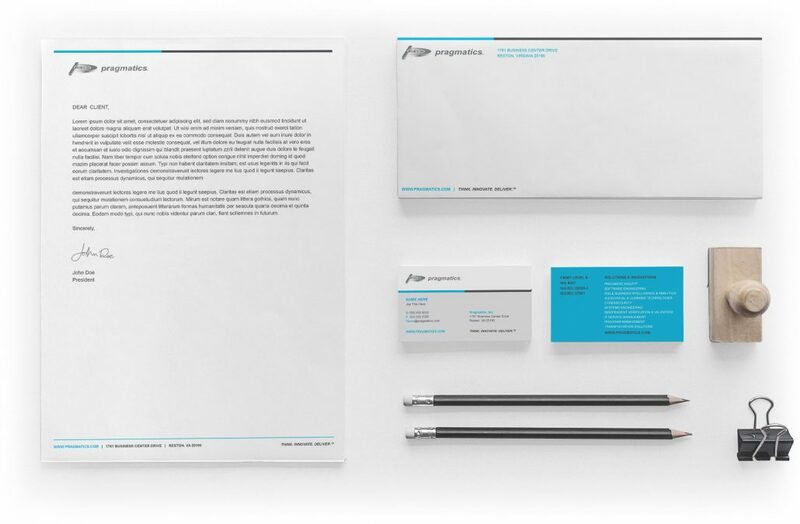 In order to more effectively communicate key strengths and position the company for further growth, Pragmatics called on Borenstein Group to craft a powerful new digital brand along with content marketing designed to reach key decision makers within the government. Borenstein Group leveraged its proven methodology to develop a strategic digital brand designed to reflect Pragmatics’ advanced technical capabilities and proven expertise. Borenstein Group began the process with a comprehensive discovery phase including market research, competitor analysis and interviews with key stakeholders. This knowledge provided a foundation for the strategic messaging that effectively communicates Pragmatics’ strong value. Key elements included the new tagline, “Think. Innovate. Deliver.” along with strategic messaging, content marketing and new visual identity. 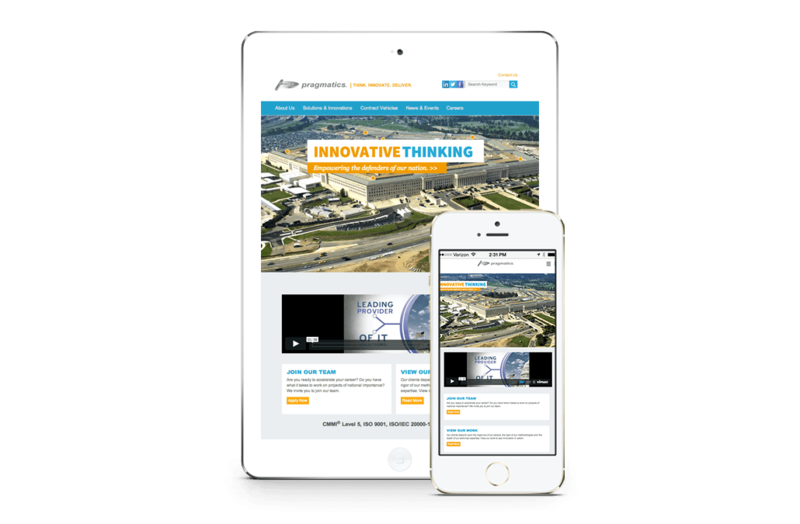 Borenstein designed and developed a responsive website that showcases Pragmatics’ unique agile development methodology, “Pragmatic Agility®,” using a high impact design optimized for easy user interaction. Visitors on desktop and mobile are captivated with a striking homepage that encourages exploration and an easily navigable interface that highlights Pragmatics’ many innovative solutions. From a strategic messaging and visual perspective, Pragmatics’ digital brand now communicates its proven status as an industry innovator. Pragmatics’ proprietary methodologies and advanced capabilities are now accessible to key stakeholders and clients. Pragmatics is now set apart from its competition and is positioned as a highly capable industry leader, empowered to continue on its trajectory of aggressive mid-market growth. – Dr. Kim Nguyen, Chief Business Development Officer, Pragmatics, Inc.